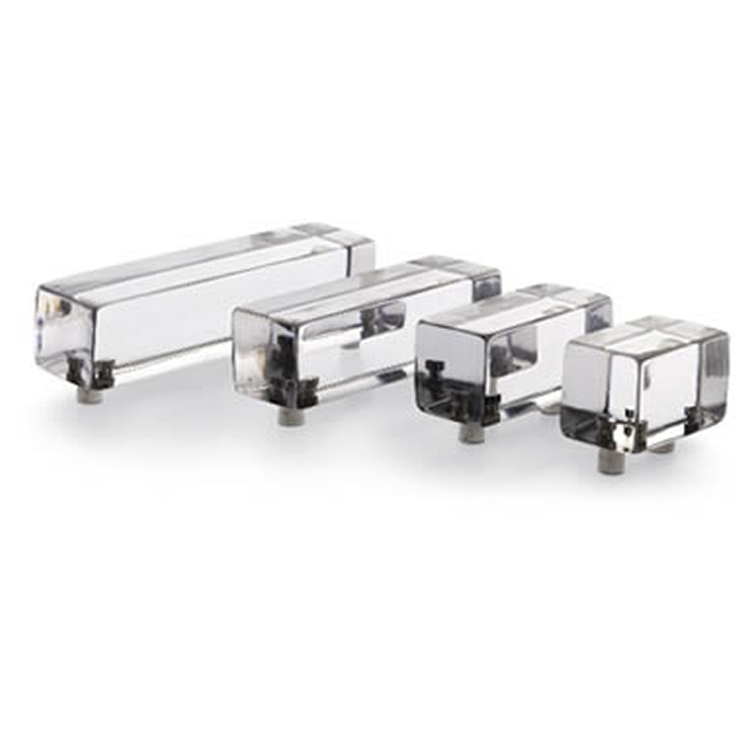 Graceful and effortlessly-elegant handles in the classic tradition, with inspiration spanning Mid-Century-Classic to Saint-Louis crystal-ware, Cristalle door handles are intended for restrained luxury interiors where less is more. Each handle has been designed to complement the subtle shimmering qualities of this ethereal, luminous material. Smooth to touch yet extremely durable, Cristalle is the result of a unique process perfected over time at our South-West England workshop. Each handle is individually cast, shaped then hand-polished in multiple stages to achieve the softest texture with a rare glow. 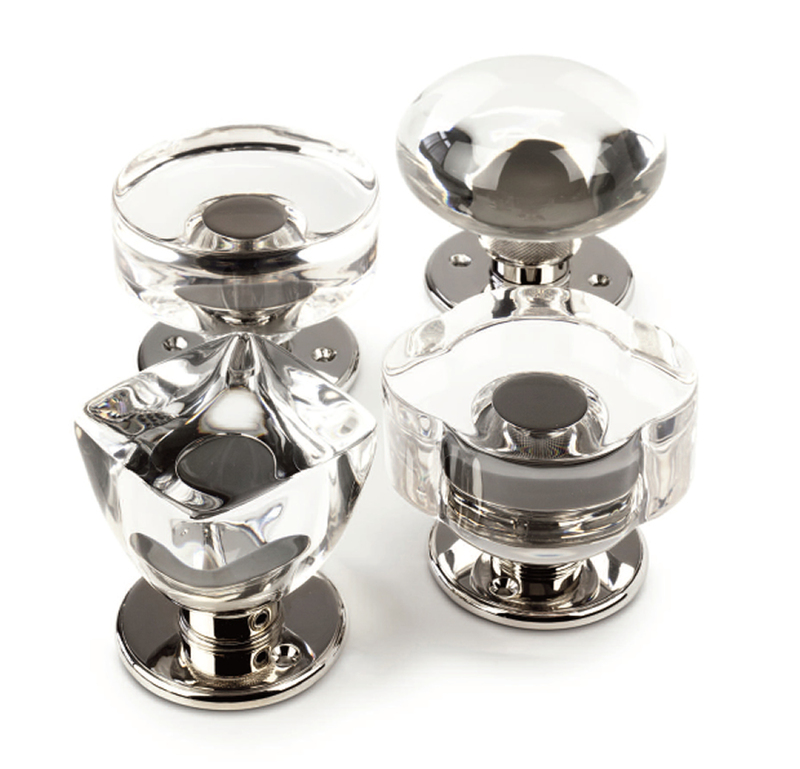 The collection includes an extensive choice of doorknobs and cabinet knobs, with styles ranging from pared-down Bauhaus to precious door jewellery. Inspired by the art of crystal cutting, the most sophisticated knobs in the collection involve cut-out incisions which are meticulously chased by hand before painstaking buffing. They can also be customised to other finishes such as antique bronze, satin or polished brass. Every handle in the collection is available in the Gems colours, an elegant palette inspired by semi-precious gemstones.